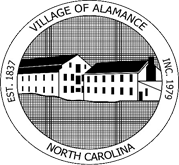 The primary function of the Budget and Management Services Department is the preparation of key financial planning and budget documents for the Village of Alamance. This division also conducts research and analysis to improve operational efficiency and effectiveness through the use of performance measures and analysis of organizational structures and processes. Archives can be found on our website and can be obtained at the Village of Alamance Clerk’s Office at the Town Hall. The City’s Capital Improvement Program includes major facility and equipment needs, establishes capital priorities, estimates fiscal resources, and schedules the development of funded projects spanning FY 2019 through FY 2023.